This guest post is by Tommy, a hopeful adoptive parent. My husband Austin and I have been together for just over eight years. From the very start of our relationship, we quickly established that we both wanted kids to be part of the picture. We just weren’t exactly sure how it would come about. We have come to decide on adoption as our preferred means, but we didn’t start there. Originally, we considered building our family through surrogacy. We liked the idea of having a genetic tie to our child, and surrogacy seemed to us the closest way a gay couple like us could ‘give birth’ to a child. One of the benefits of the course was in meeting families who had navigated the different avenues of family creation: surrogacy, co-parenting and adoption. We met parents and children who came from various cultural and economic backgrounds, but all had one thing in common: They had created a beautiful family full of diversity and love. The course took us through some information we already knew from our own research, but also made us reconsider a large world we really did not know much about at all—adoption. We started to realize that there were many kids already being born that needed homes, and the families that were formed through adoption were every bit as close and ‘real’ as any other family. With international adoption not a viable option for gay couples, we had two options in front of us, public and private adoption. While public adoption remains something we would consider, as this is our first experience with parenthood and wanted to experience every stage, we decided we would look into private adoption in which you would more often be able to adopt a newborn baby. Around the same time we were starting to look into our options, a couple we knew adopted a beautiful baby girl at birth. Their experience proved tremendously valuable to us. Through several brunch and coffee dates, we were able ask the questions you can really only ask a close friend. How long did it take? How much does the lawyer cost? What about the experience should we know before we get started? Our conversations helped fill in the gaps, however few, that the Daddies and Papas 2B left and gave us a much deeper understanding of the process than we could have ever hoped. With the encouraging words of a friend who had successfully adopted, we became more convinced that adoption might be the way to go, so we began the many steps required to make it a reality. In the province of Ontario, all couples are required to take part in a course called PRIDE (Parent Resources for Information, Development and Education). Although developed for potential foster parents, the course was extended to include those wishing to adopt. Our course leader took us through a number of scenarios, videos, working groups and activities that helped us to understand adoption from the child’s point of view. We were lucky enough to have a number of visitors to the class that included now-grown adopted children. In listening to their stories, one thing became abundantly clear. It was paramount to the wellbeing of the child to be raised in an open adoption. The children who were raised in closed adoptions from the public system or international adoption were troubled by lingering questions about who their birth parents were, and what had happened to them. Although they all loved and cherished the relationship they had with their adopted families, there was always a sense of something missing since they had no connection to their past. We also had the pleasure to meet children who were raised in open adoption, and although they had varying degrees of contact with their birth parents, ranging from the occasional card or letter to monthly or annual visits, they had a sense of completeness. They knew their birth parents, and this seemed to strengthen the bond with their adoptive parents. Without the lingering questions in the back of their minds, they were able to develop a meaningful parent-child relationship with their forever family. These examples were enough to convince us open adoption would be the route that would give us, and our future son or daughter, the healthiest start in life. We continue to gather information to learn more about parenting and adoption, so we can be as prepared as possible to be the best parents we can be when the day finally arrives that we are able to have a child of our own. We look forward to the day when we welcome a child to our home, and can’t wait for the new journey that we will all embark on together. 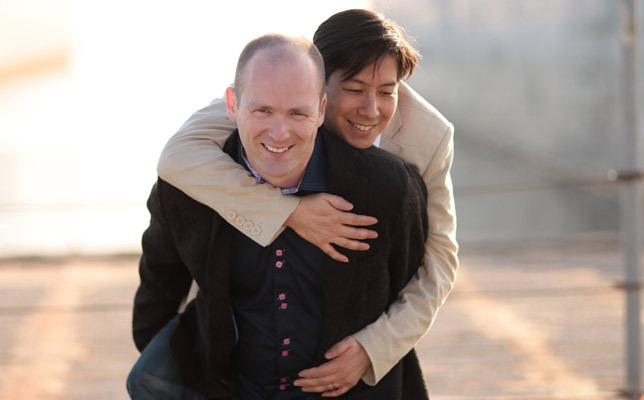 Tommy lives in Toronto with his husband, Austin, and their dog, Calvin, and 16-year-old cat, Portia. When they’re not travelling, Tommy writes books and runs his online business eBookArrow. They cannot wait to welcome a child into their lives through open adoption. Open Embryo Donation vs. Open Adoption: What’s the Difference?